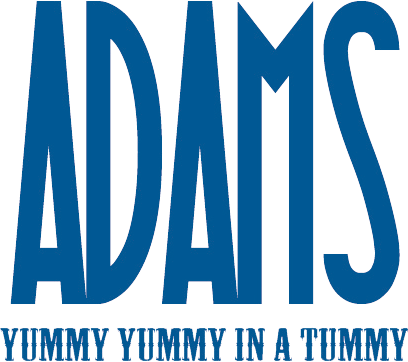 We at Adams Takeaway aim to bring all of our customers the very best value for money, services and food around Leeds. Give us feedback. Great food and the only takeaway who actually listen when you ask for no mushrooms on your pizza! Highly recommend! It's been in my area for a while now, food always comes on time, if not earlier. Manager is a really nice guy and likewise his team. Highly recommend ordering from here! Very simple to use and delivered piping hot food in the promised time frame. Very impressed. Always really good food from here, and excellent customer service. we ordered a variety of food and all the food was delivered hot. This could be the first takeaway we have had and all agreed it was cooked very well. Best fried chicken in town. Lovely food, value for money! Last 2 times were very nice. Nice food and really speed service!! Excellent and fast service as usual, and the best pizzas in Leeds. Food was delivered quickly, Great customer service as usual and the most important thing is the food tasted great. Excellent as always. Hot wings, toasted wrap and Calzone were all spot on. Never any complaints. Delivered 15 minutes earlier on a friday. Excellent, yummy pizzas. Getting better. Thank you. Big order of 18 pizzas on Saturday and they were delivered on time and were tasty. Great work! Me and my boyfriend have ordered from here 2 times now and both time we have got different things and it's always been fantastic! Think we have found our new favourite place! Iv never been a calzone person but my boyfriend orders this and I had some and now I can't wait to order that next time I get a takeaway! Thanks Adams! The team at Adams did a great job and the food was great. Everyone at our event loved it and we really appreciate how we were looked after. We will definitely recommend you in the future. Food Quality is always amazing always so fresh and warm! since ordering from Adams ive never been elsewhere! would highly recomend to anyone , best in leeds! Great food, really fast delivery and friendly drivers. Always lovely food ! service spot on ! best Kerbab we have had in ages !!! Always have great food from here . prices on certain things a little higher than others but you paying for quality not reheated food. Could also do with getting coupons for valued customers. Would definitly recommend as best takeaway in area and they cook everything perfect. Friendly staff too. Really enjoy the food from Adams all the kebabs are good but the chicken kebab specially good! My regular take away..good food..good service..good value. Have been using Adams regularly for a while now and have never been dissapointed with the food or service. Highly recommend the pizzas! The staff have always been great on the phone and the delivery guys are first class.